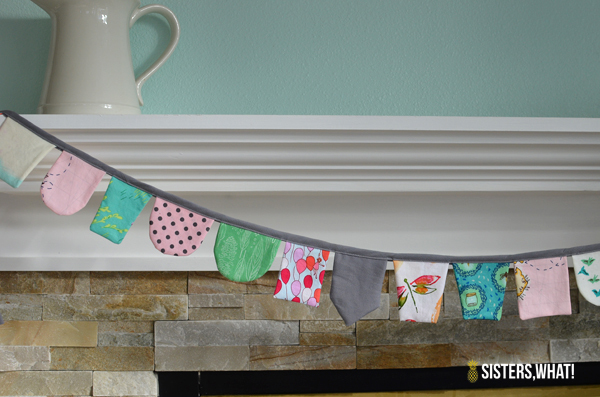 ' DIY Scrap Fabric Banner a sewing tutorial - Sisters, What! Soo...in case you haven't noticed, I've been MIA with blogging lately. Honestly, life is just getting busy. I'm doing a preschool COOP for my 4 year old and this month is my month, so I've been super busy prepping for that. 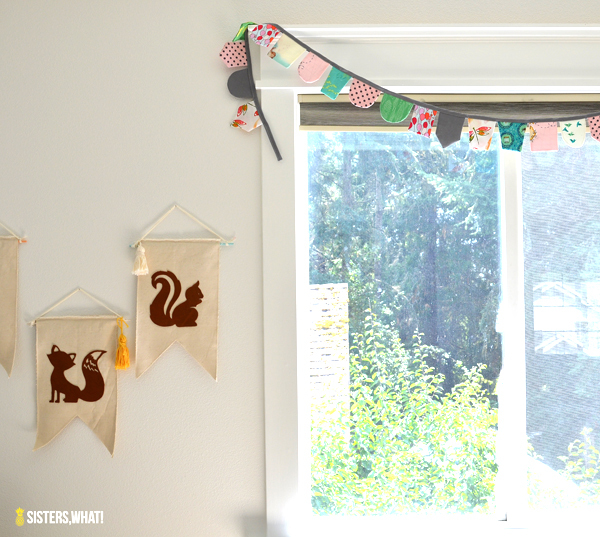 Today I'm finally sharing my diy scrap fabric banner that I made for my little baby girls woodland room. In case you missed it, you can find the post about the whole room HERE. 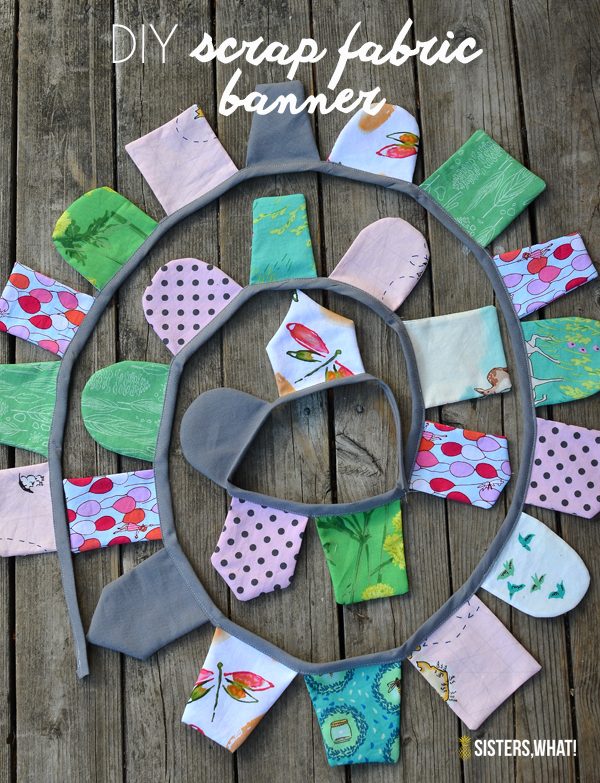 This banner was so fun to make and really easy. And it was a quick project, which if you haven't figured out already, I LOVE. Right now, quick projects are the only thing that I have time for. Cut your shapes out. I made my shapes pattern first by drawing them on paper until they looked about right, then I tested each out on some of my scraps. 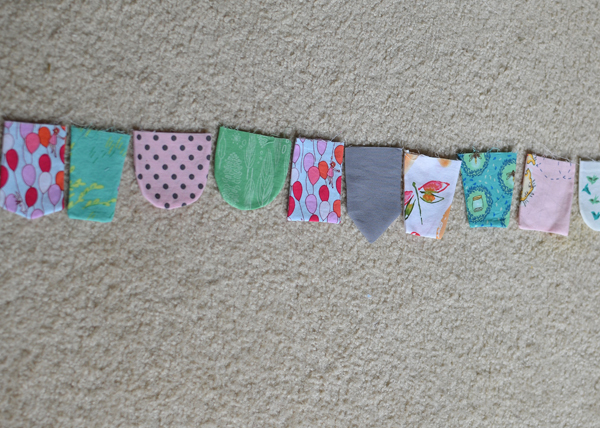 Once I figured out what I wanted I then just winged it for the rest of the scraps. 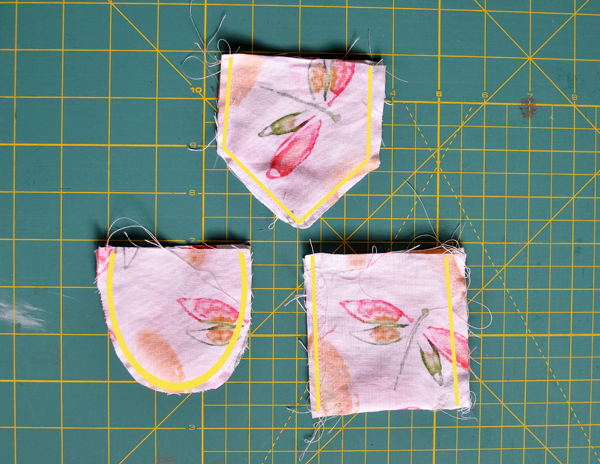 Make sure you put your fabric right side together then sew. 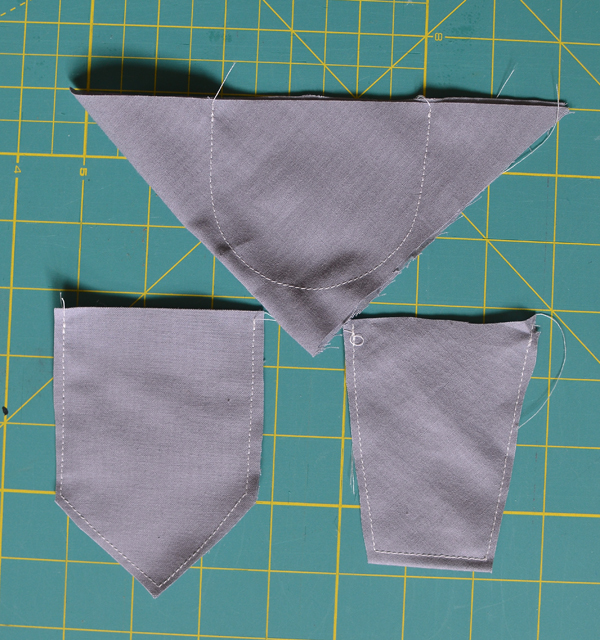 Cut extra fabric and turn right side out. 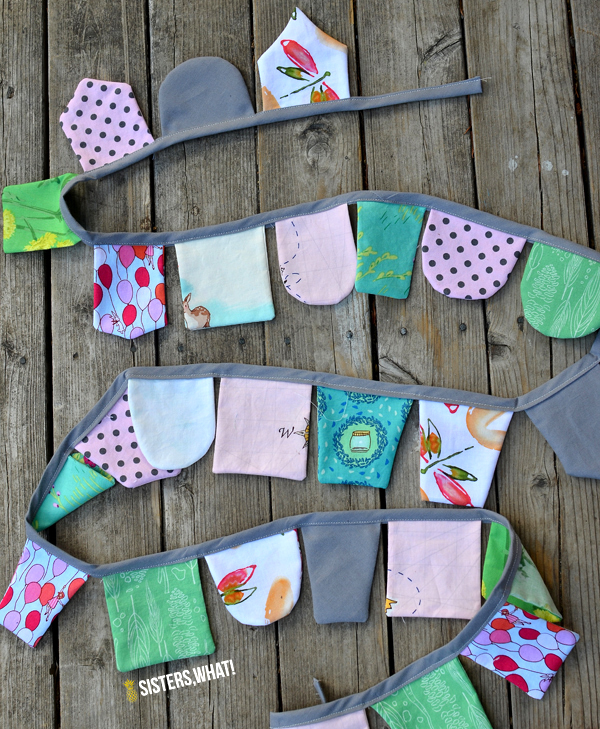 After you sewed up all your banner pieces, line them up on the ground in your desired order. Next pin on bias tape and sew it on. Then hang it some where nice : ). And her it is in her woodland themed room. Stay tuned for the leather animal banner.